Guangzhou (广州; Gwóngjāu in Cantonese, Guǎngzhōu in Mandarin, traditional English name: Canton) is the capital of Guangdong Province in southern China. According to the 2010 census, it has a population of 12.7 million, making it the third largest city in China after Shanghai and Beijing. It is a part of the Pearl River Delta, which also includes Shenzhen, Dongguan, Hong Kong, Macau, Foshan, Jiangmen, Huizhou, Zhongshan and Zhuhai. Guangzhou also has the largest urban park in China, an island of refurbished colonial buildings, and some world class galleries and exhibition spaces. In addition, possibly due to the distance from the country's political centres, the citizens of Guangzhou have developed a laid-back and play-hard approach to life. Like many Chinese cities, Guangzhou municipality includes a vast rural area in addition to the urban core. There are 11 districts in Guangzhou. Among them, Liwan, Yuexiu, Tianhe and Haizhu are the city's core, of most interest to tourists. Formerly known as Canton to the West, the city of Guangzhou has a history dating back roughly 2,200 years. Guangzhou was also part of the so-called Maritime Silk Road that linked southern China with India, South-East Asia, the Middle East, and Africa. As a result of its links with the Middle East, a mosque was established in the city in 627, and a small Muslim community continues to live in Guangzhou to this day. Additionally, the sixth patriarch of Zen Buddhism was born in Guangzhou and taught the famous Platform Sutra in the city. As a result, Guangzhou has retained a strong connection with this school of Buddhism, and the monastery where the sixth patriarch studied is considered a local treasure. The first Protestant missionary in China, Robert Morrison, entered Guangzhou in 1807. This started the spread of Christianity in the country. In modern times, Guangzhou is also notable for being home to the largest African population in China. In 786 the city was sacked by the Persians. In 1514 the Portuguese were the first Europeans that arrived in Canton. They obtained a monopoly on the trade in China and took Macau as a base; their monopoly lasted until the Dutch arrived in the 17th century. In 1711 the British East India Company established a trading post here. In 1757, the government designated the city as the only port allowed business transactions with foreign nations. This continued until 1842 when the Treaty of Nanking was signed, when four other "treaty ports" were added. Losing the exclusive privilege pushed Guangzhou to become more industrialized later. Many overseas Chinese can trace their ancestry to the area, with the overwhelming majority of overseas Chinese in Western countries like the United States, United Kingdom and Australia being of Cantonese descent. In Southeast Asia, Cantonese people also form a substantial portion of the overseas Chinese communities, with Kuala Lumpur and Ho Chi Minh City being home to large and influential overseas Cantonese communities. In terms of climate, the best time to visit Guangzhou is between October and November. Alternatively, April and May are also good months. Guangzhou has a sub-tropical climate with humidity levels at their highest in the summer. Temperatures can reach almost 40 degrees Celsius. Typhoon season is from June to September. The Canton Fair takes place annually during the weeks from mid-April to early May and mid-October to early November, so finding accommodation at those times can be difficult and expensive. See the information section under Sleep. 1 Guangzhou Baiyun International Airport (广州白云国际机场), Baiyun, ☎ +86 20 3606 6999. One of China's main intercontinental hubs, located 28km north of Guangzhou and the most convenient airport to get into the city by taxi and subway. Flying to Hong Kong is another option, although you need to factor in the border crossing. From Hong Kong International Airport, cross-boundary buses run direct to Guangzhou and other cities in Guangdong. Bus companies include China Travel Service, Trans-Island Chinalink and Eternal East, fares range from HK$220–250 one way. Hong Kong (Kowloon West Station) is less than a hour by the fastest trains, via Futian, Shenzhen and Humen, Dongguan; single fares from HK$200 - see Hong Kong#By train. These run every 30 mins or so. All the border procedures are at Kowloon West Station, so from Hong Kong to Guangzhou you should check in at the station 90 mins before scheduled departure, then on arrival you don't need to allow much transfer time for an onward train. Going to Hong Kong you're okay till about 20 mins before departure, but factor in immigration at the other end if you're going that way to catch a flight. There are also slower trains between Hong Kong Hung Hom Station and Guangzhou East ("Dong") Railway Station, and cheap options involving a Chinese train from Guangzhou to Luohu (罗湖) in Shenzhen, walking across the border bridge, then taking a Hong Kong MTR train (Light Blue Line). Lots of locals do this. Mainland China: Fast trains run to Wuhan (3 hr), Beijing (8 hr), Xian, Shanghai (7 hr), Nanning (4 hr) and Kunming. The most amazing train is to Lhasa in Tibet, just under 5000 km away over dizzying high-altitude passes. This train runs alternate days from Guangzhou Station (广州站), taking almost 55 hours. A sleeper costs ¥923 and up; see also Overland to Tibet. There are three major train stations in Guangzhou. Countless travellers have gone to the wrong station and missed their trains, so carefully check your ticket. 2 Guangzhou South Railway Station (广州南站, Nan-Zhan) (Metro 2 & 7). The principal station, serving the high-speed network. About 20 km south of the centre, a 30 min ride on Metro line 2 (5 yuan fare). A huge concourse, with various eating places and other facilities within. Many station staff understand English, as this is the main route to Hong Kong. The cluster of hotels around the station consistently refuse to admit foreigners, even though paid in advance and clutching confirmation slips. 3 Guangzhou East Railway Station (广州东站, Dong-Zhan) (Metro 1 & 3). Slower but cheaper trains to Hong Kong (Hong Lam) and some mainland cities. 4 Guangzhou Railway Station (广州站, Guangzhou-Zhan) (Metro 2 & 5). One of the biggest stations in the country, with trains all the way to Harbin and Lhasa. You're unlikely to use the city's other stations, such as North ("Bei") Station or West ("Xi") Station. Coach services are available to bring passengers from Hong Kong International Airport to several locations in Guangzhou. 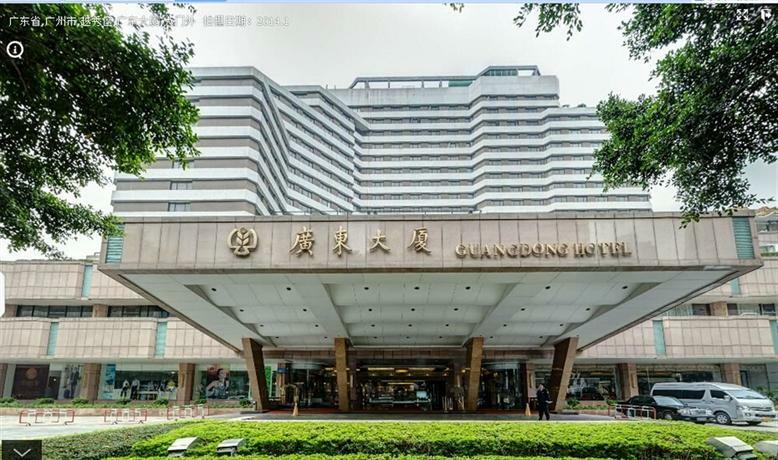 Among the destinations are recognizable landmarks like Jinan University (暨南大学) on Huangpu Avenue (黄埔大道), Garden Hotel (花园酒店) and China Hotel (中国大酒店) (see hotel section). The trip takes about 3+ hours and costs HKD $250. There are also cross border bus terminals throughout Hong Kong. One of the Stations is at Austin Road and Canton Road near Kowloon Park. A one way ticket costs about HKD $100. 5 Provincial Station (省汽车客运站), 145-149 Huanshi West Road 环市西路145-149号 (Metro 2 & 5 Guangzhou Railway Station Exit F1, F2, H1, H2). The station serves mostly long distance lines outside the Guangdong Province. 6 Liuhua Station (流花站) (Metro 2 & 5 Guangzhou Railway Station Exit D4). Across from Provincial Station, it mostly serves nearby cities in the province. 7 Tianhe Station (天河客运站), 633 Yanling Road 燕岭路633号 (Metro 3 & 6, Tianhe Coach Terminal). The station services Southern and central China, reaching as far as the Gansu Province. There are also many routes to cities in Guangdong. 8 Haizhu Station (海珠客运站), 182 Nanzhou Road 南洲路182号 (Metro 2 Nanzhou Station Exit A). Located in the southern part of Haizhu, serving major cities in the province and other Southern China provinces, including Hainan. 9 Fangcun Station (芳村客运站), 51 Huadi Middle Avenue (Metro 1 Kengkou Exit B). The station serves similar routes to the Haizhu Station. 10 Yuexiu Nan Station (越秀南汽车站), 越秀南东园横2号 (Metro 6 Tuanyida Square). Besides destinations in this and other provinces, it also has lines to Macau and Hong Kong. 11 Guangzhou South (广州南汽车客运站) (Metro 2 & 7 Guangzhou South Railway Station). The station mainly services nearby cities. There is a bus to Lo Wu, a commonly used border crossing between Hong Kong and mainland China. The fare is ¥65 and it runs every hour. Note that English and Chinese names of bus stations vary from one sign to another—coach terminal, coach station, bus terminal, bus station, passenger terminal or passenger station. The different names may be referring to the same station. There are two major passenger ports - Nansha Port and Lianhuashan Port, and many other smaller ones. 12 Nansha Port Passenger Terminal (南沙港客运码头), 2 Nan Er Road, Haibin Xincheng Trade Avenue, Nansha Economic Development Zone (南沙经济技术开发区海滨新城商贸大道南二路2号) (Very far from the city center. Metro line 4 ends here. ), ☎ +86 20 84688963. Serves boats traveling from Guangzhou to Hong Kong (90 min, four times daily, ¥180), Hong Kong International Airport (70 minutes, twice daily, ¥300), and Macau (80 min, twice daily on weekends only, ¥180). Guangzhou has a fairly efficient and rapidly expanding public transportation system. If you intend to stay in Guangzhou for an extensive period of time, purchase a multi-purpose Lingnan Pass - Yang Cheng Tong (岭南通-羊城通) stored value card, similar to the Octopus Card in Hong Kong. The card can be used in selected metro areas in the Guangdong province (but not Shenzhen). It can be used not only for public transportation (bus, subway, parking meters and some taxis), but also for public phones and designated shops, places of interests and certain vending machines. The card costs ¥50, which includes an ¥18 deposit and a starting balance of ¥32. You can purchase and recharge the cards in many places, such as some 7-Elevens, Metro customer service counters, and Tiantian Laundry. Returning your card at the end of the trip can be done at any Yang Cheng Tong service centers. The best locations include centers near metro station Gongyuanqian Exit J, Tiyu Xi Exit G, and East Rail Station exit HJ. It may be worth it to simply keep the card as a souvenir. Guangzhou's Metro opened in 1999 and has been expanding at a breakneck pace ever since. Most places in Guangzhou of interest to visitors are within walking distance of a metro stop. The Metro cannot be beaten for its combination of convenience and affordability. Most signs and announcements are both in Chinese and English. Trains can become extremely crowded during morning and evening rush hours, especially on Line 3. The fare varies by distance, from ¥2 to ¥19. Buy tickets from vending machines in the stations. These accept ¥5, ¥10 and ¥20 bills and ¥1 coins, giving change; other machines take phone payment via Chinese app Alipay which you're unlikely to have. You can break up big bills, or change worn bills that the machines won't accept, at the customer service counters. The ticket is a small round plastic token, which you tap over the reader at the gate to enter the platform, and at the exit where you surrender the token into the slot like a vending machine. The Yang Cheng Tong card (see details above) is easier to use, and also gives you a 5%-40% discount. Line 1 runs southwest to northeast, from Xilang in Fangcun to Guangzhou East Railway Station in Tianhe. It runs underneath Zhongshan Road in the city centre, and is the most useful for accessing shopping areas and tourist sights. Line 2 runs north-south from Jiahewanggang in Baiyun District to Guangzhou South Railway Station. It serves Baiyun Mountain, Guangzhou Railway Station, Yuexiu Park and Haizhou Square. If you're staying in west or central Guangzhou, this line is also useful for reaching the airport by changing to Line 3 at Jiahewanggang. Line 3 is a Y-shaped north-south line serving eastern Guangzhou. The 'main line' runs from Panyu Square to the Tianhe Coach Terminal Station, whilst the 'north line' splits off at Tiyu Xilu and heads towards Airport South, via Guangzhou East Station. Line 4 serves Guangzhou's eastern outer suburbs, and runs from Huangcun in Huangpu District down to Nansha Passenger Port. It serves the Olympic Sport Centre and the University Town. Line 5 runs east-west from Jiaokou (Liwan) to Wenchong (Huangpu District), following the inner ring road through the city. 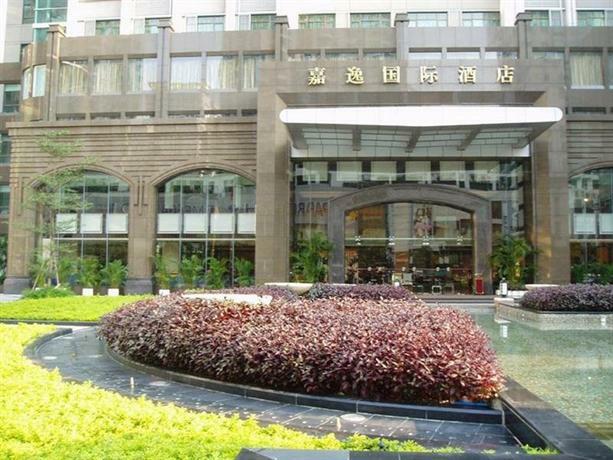 Serves Guangzhou Railway Station, the Garden Hotel and Zhujiang New Town. Line 6 runs on the north coast of the Pearl River. Serves Beijing Lu, Cultural Park, Huanghuagang, Tuanyida Square, and Dongshanhu Park. Line 7 runs east-west across the southern suburbs. Line 8 runs east-west through Haizhu District from Fenghuang Xincun to Wanshengwei. Serves Sun Yat-sen University and Pazhou Exhibition Centre. Guangfo Line is China's first intercity metro, connecting Guangzhou to downtown Foshan. Central Foshan can be reached in approximately 45–60 minutes from central Guangzhou. Transfers from GZ metro lines and Yangchengtong cards are accepted. Zhujiang New Town APM is a driverless people-mover serving downtown Tianhe District and is the least-used line on the Metro (which is handy if you want to avoid the most crowded section of Line 3). The line has 9 stops running from Linhexi to Canton Tower, and serves tourist sights including Guangzhou Opera House, Haixinsha Island (where the opening ceremony for the 2010 Asian Games was held) and the Canton Tower. This line uses separate tickets (flat fare 2 yuan, 5% discount with the Yangchengtong card). Unlike other metro lines, you should insert your token at the entrance gate - the exit gates open automatically when approached. Lines 9 13 and 14 serve far-out suburban areas and are of little interest to tourists. The system is still being expanded and there is talk of adding connections to Dongguan, Huizhou, and Zhongshan. There is also a comprehensive public bus service that covers Guangzhou from end to end. By far, it is the cheapest way to move around. Bus fares are ¥1 for the older buses and ¥2 for the air-conditioned ones, although the older buses have been mostly retired. Information at bus stops is mostly written in Chinese, although the current stop's name is also written in either pinyin or English (not always consistent with the recorded announcement in English) and stops close to subway stations are (usually) marked with the Guangzhou Metro logo, which is handy if you are lost. On-board announcements are made in Mandarin, Cantonese and sometimes English. Exact fare or a Yang Cheng Tong card is needed when boarding. If traveling on a quiet bus, it is advisable to signal to the driver that you wish to get off when approaching your stop by pressing the red buzzer next to the exit door or by saying "xia yi zhan you xia (pinyin:xià yī zhàn yǒu xià)," meaning "I'm getting off at the next stop" or simply "you xia (有下, pinyin:yǒu xià)." In Cantonese "you xia" is "yau lok(有落)." Bus stops served by many routes are usually divided into multiple sections, each one with a different number. The stops are usually all on the same side of the road, one after another, but in some cases (such as Haizhu Square), the stops are found all over the place. Most bus routes run from around 6AM to 10 or 11PM, after which there are night buses with the prefix Ye (夜, night). The night route numbers are not related to the normal route numbers. The fare is usually ¥3. Virtually all night buses stop running around 1 or 2AM, and some start again around 5AM. In most cases, taking a taxi at night is a better idea. As with normal bus routes, there is almost no English at BRT stations, and only the current station name is in pinyin. Overall it isn't much use to tourists who can't read Chinese. Guangzhou taxis are very affordable. The starting charge is ¥10 for the first 2.3 km, or about 1.4 miles. After that is ¥2.6 for each km. No fuel surcharge is added. A 50% surcharge is automatically added when the trip reaches 35 km. A few taxis also accepts Yang Cheng Tong as payment, but it is not preferred by the drivers. The taxi hotline is 96900. This comes in handy if you forget your valuables in a taxi. Save your receipt because it contains the taxi's identification number. Most taxi drivers do not speak English or any other foreign languages, so be sure to have the name and address of your destination written in Chinese to show your taxi driver. Many are from the poorer northern provinces and do not even speak Cantonese. If your destination is not well known, have a nearby landmark included in the address, e.g. "across from the Garden Hotel." Most taxi shift changes take place between 3-5PM. During this time, it is hard to find a taxi as many drivers stop working by displaying the "out of service (暂停服务)" sign before the end of the shift, unless you are going in their direction. Taxi can be also hard to come by during commuter peak hours of 7:30-9AM and 5-7PM. Finding a taxi during the evening or at night is usually not a problem. Beware of taxi driver as sometimes, in addition to going around the block one too many times, they will also try to pass counterfeit bills. Pay close attention as to what they pay when passing toll booths. Good drivers will show you the toll receipts. Only add the toll amount to what is displayed in the meter. A trip between the airport to the East Railway Station will cost around ¥120-130. When paying with ¥100 notes, ensure that the money does not leave your sight until accepted. Some taxi drivers will turn around, do something, turn back and hand you back fake notes instead, especially if you are foreigner on the way to the airport. In this situation there is almost nothing you can do. Avis (安飞士汽车租凭), 9 Huali Road, +86 20 3829-6279, 8:30AM–5:30PM. 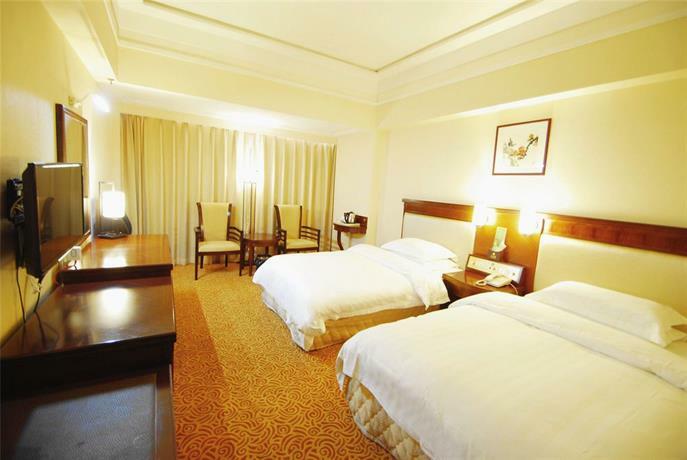 Hertz (赫兹国际汽车出租), 89 Linhe West Road, first floor of Jingxing Hotel. +86 20 8755-1608. Folding bikes are permitted on the subway (but not on buses) and can be carried in the trunk of a taxi at the driver's discretion, but non-folders are not permitted on any form of public transport other than the cross-river ferries. Bicycles are not permitted to cross the river via the Zhujiang Tunnel or Zhujiang suspension bridge, but are permitted to go on the public ferries for ¥1 (see below). The ferry is the cheapest way of crossing the Pearl River (Zhujiang). Ferries were very popular in the 1980s and early 90s, carrying tens of thousands of passengers across the river each day. Nowadays its popularity declines substantially, mainly due to the completion of several bridges over the Pearl River and metro tunnels under it. The river narrows when going through the city center (a little wider than the Thames in central London). It is usually faster and more convenient for people to use the bridges or metro to cross the river, rather than wait for the ferries. One still-popular ferry route connects Huangsha Pier (by the seafood market next to Shamian Island) to the pier at Changdi Road on the Fangcun side. Ferries depart every 10 minutes from 6AM to 10PM. The fare is ¥0.5, or ¥1 with a bicycle. The fare can be paid in cash (no change given) or by using Yangchengtong Card. There are separate boarding gates for cyclists and pedestrians, and you pay at the boarding gate. Locals in Guangzhou speak Cantonese as their native language, but due to the large number of migrants from other parts of China, many of whom do not speak Cantonese, Mandarin also serves as the lingua franca. As the Guangzhou dialect of Cantonese is far less influenced by foreign languages than that of Hong Kong, this is a good place to learn the language in its "purest" form. As Mandarin is the official language of mainland China and the medium of instruction in all schools, most younger locals will be bilingual in Cantonese and Mandarin. While Mandarin is sufficient for the average visitor, breaking into the social circles of locals would almost certainly require knowledge of Cantonese. English is spoken by more people than in the rest of China (save for Beijing and Shanghai), but still not by the majority, so it is a good idea to carry your hotel's business card with you. To save yourself the hassle and agony when asking for directions, have names of your destinations clearly written down in Chinese by the hotel staff before venturing out. That said, many educated younger people will have a basic knowledge of English and staff at hotels as well as bars and restaurants widely visited by foreigners generally speak an acceptable level of English. Guangzhou's long history can be experienced in the Liwan and Yuexiu districts. Traditional buildings are slowly disappearing due to the city's rapid growth, but they can still be found near Yide Road, Renmin Nan Road and Zhongshan Road. They make great photo spots. Shamian Island (Liwan) was the European settlement in Guangzhou in the 19th century, and colonial buildings can be seen there. The Chen Clan Academy (Liwan) is a famous example of traditional architecture, and Yuexiu contains several temples which are popular destinations. Yuexiu is also home to 20th century historical sites like the Sun Yat-Sen Memorial Hall. In recent years, the Tianhe district has become home to a new business district (Zhujiang New Town), with towering office buildings and some new cultural institutions. Canton Tower (Haizhu district) is the world's second tallest skyscraper, with an observatory 449 meters above the ground. Guangzhou is a massive city, but it is also home to beautiful natural sites. Baiyun Mountain, located just north of the city center, is a large mountain park with forests, streams, and long hiking paths, as well as a cable car to the top for the less adventurous. The Chimelong theme parks in the city south (Panyu district) include a popular safari park as well as roller coasters and other attractions. Pearl River Night Cruise (珠江夜游) Dashatou Pier (大沙头码头), Tianzi Pier (天字码头), and Xidi Pier (西堤码头) – This is a one to two hour cruise in the evening and a great way to see the Guangzhou skyline along the Pearl River, including a light show at Bai-E-Tan. Tickets for the deluxe dinner cruise can be bought from most high-end hotels. Prices from ¥50-¥200 per person. Higher end cruises usually include dinner buffet. Daytime River "Cruise" As cheap as ¥5, you get a ride down to the last terminal at ZhongSan University and back. Just tell the ticket seller at the jetty, in front of Riverside Hostel, you just want a joyride. On your way back, you can get off on the other side of the river at the heart of the commercial district. After spending a couple of hours walking around or even dinner, it will cost you only ¥1 to cross back to the Riverside Hostel. Ride the public buses. Cheap and generally safe, but beware of pickpockets. The electric trams are even cheaper at flat rate of ¥2. Hop on to any one of the public buses. Drivers are generally very friendly and helpful. So long as you have sufficient small change for the journey, tell the driver you are in just for a joyride. (In cantonese Yau Cheh Hor literally meaning just for the ride or just for fun. Where the journey terminates, ask anyone what buses will take you back and request the driver to let you know when to get off. So long as you sit not too far away, he (sometimes she) will tell you. Don't worry, everyone is very helpful on these buses. Being paranoid about scams and perceived crimes takes the joy out of what would otherwise be a marvellous holiday. Tomb Sweeping Day (清明节 qīng-míng-jié) is around the spring equinox, usually on April 5. Involves visits to the family tombs for cleaning and making offerings. Qi Xi, or Chinese Valentine's Day (七夕 qī-xī) is on 7th day of 7th lunar month, usually in August or September. According to legend, a heavenly fairy Zhinyu (织女) fell in love with a mortal farm boy Niulang (牛郎). This was forbidden; as punishment, they were only allowed to meet once a year on this day. There are usually parades and carnivals in the city celebrating the holiday. This is the Chinese equivalent of Valentine's Day, but it is steadily losing its appeal among the locals; many have adopted the Western Valentine’s Day on February 14. Winter Solstice (冬至, 过冬 dōng-zhì), which literally means the Coming of Winter is on December 22. Traditionally, Cantonese people observe the day with a family feast, which often includes preserved duck and sausages. However, the highlight of the day's festive dishes is hot soup served with flour dumplings (汤丸). The Canton Fair (China Import and Export Commodities Fair) is held twice a year (spring and fall) in the Pazhou Complex in Haizhu district. It lasts for several weeks each time — for example, the Fall 2018 Fair is October 15 to November 4. Through most of Mao's era — from the first Canton Fair in 1957 until the "reform and opening up" under Deng Xiao Ping began in 1978 — the Canton Fair was almost the only way Chinese and foreign business people could meet and make deals. It is still much the largest trade fair in China; the October 2012 Fair had over a million square meters (11 million square feet) of exhibit space, over 24,000 exhibitors, and over 188,000 overseas buyers. Around $32.5 million worth of business was done at that Fair, and almost certainly much more was done later from contacts made at the Fair. If you are going to the fair, book a hotel well in advance. Hotels tend to be booked and expensive during the Fair. Metro is a good transportation option to go to the fair ground, and many hotels provide free shuttle services. There are two lesser, but still important, trade fairs in Xiamen every year. These are scheduled so that it is possible to visit one of the Xiamen fairs and the Canton Fair in a single trip. Guangzhou University of Traditional Medicine (广州中医药大学 Guǎng-zhōu-zhōng-yī-yào-dà-xué) (Metro 2 Sanyuanli Exit B). Chinese medicine and acupuncture (中医和针灸) is taught here, one of the main universities for traditional medicine in China and attracts many overseas students. It also has a branch in Zhuhai. Mandarin House Guangzhou School (广州美和汉语学校 Guǎng-zhōu-Měi-hé-Hàn-yǔ-Xué-xiào) (Tianhe business district). Former winner and multiple nominee of STM’s ‘Star Award’ in the World Language Provider Category. Has language centres in Shanghai and Beijing and is quality accredited by IALC. Mandarin House Guangzhou school offers the same curriculum, courses and level of teaching quality in all their schools. From effective Intensive & Business Courses to Private Tutoring, HSK Preparation and Juniors Programs, assuring there is a course best suited to each level. Qingping Market (清平市场), Qingping Road (清平路) (North from Shamian Island. Metro 1 Huangsha Exit D). Cantonese are known to eat just about any animal, and the market is world famous for its wild animal trades, although it has been tamer since the SARS outbreak. It is still a great place to go for exotic goods. The modern front of the market has quite a few stalls selling dried herbs used in Chinese Medicine. The real charm here lies just behind the modern exterior. The modern exterior is built onto a series of old historical narrow alleyways with shops selling herbs. Xiguan Antique Street (西关古玩城), near Liwan Park (荔湾湖公园). Flower Street (花卉水族街), Baohua Road (宝华路). Jade Street (玉器工艺街/玉器街), Changshou Road (长寿路) and Wenchang Road (文昌路), near Shangxiajiu Pedestrian Street (Metro 1 Changshou Lu). Ivory and Sea products (象牙雕刻海味街), Daxin Road (大新路). Toy Street and Dried goods and snacks Street (玩具街 and 干果海味食品专业街), Yide Road (一德路) (Metro 2 Haizhu Square). Bridal Street (婚纱专卖街), Jiangnan North Road (江南大道北) (Metro 2 The 2nd Workers' Cultural Palace). Flowers, Aquatic and Lightings Street, Danan Road (大南街) near Beijing Road (北京路) (Metro 1, 2 Gongyuanqian). Household Merchandise Street (日用百货街), Gaodi Street(高第街). The street has become a shopping center selling everyday goods. Cultural Street (古玩字画街 / 文化商业街), Wende Road(文德路) (Metro 1 Peasant Movement Institute). A good place to look for antiques and traditional Chinese artistic goods. Haiyin Shopping District (海印专业购物区), at the northwest side of the Haiyin Bridge (海印大桥). Selling appliances, sporting goods, cloth, fabrics, camera accessories and electronics. In recent years, many large shopping malls have been built in areas like Yuexiu and Tianhe. Cantonese cuisine is well known for its blend of color, fragrance, taste and presentation, and it is ranked among the top four in the country. In particular, dim sum, a delicate pastry, is famous for being simple yet delicious. Local customs, as well as a long history of contact with the West compared to other regions in China, have played a major role in the development and diversity of Cantonese cuisine. "Chinese food" in Western countries is usually Cantonese food, albeit slightly adapted to Western tastes, meaning that many Western visitors will be familiar with Cantonese food to a certain extent. Authentic Cantonese cuisine is also famous throughout China for another reason — Cantonese people tend to eat absolutely anything. A well-known Chinese joke is that they eat anything that has four legs other than a table, anything that flies other than an airplane, and anything that swims other than a submarine. In addition to that, various internal organs of animals are regularly eaten, such as the liver, kidneys, heart and even brain. This means that Cantonese cuisine is one of, if not the, most adventurous in China due to their expansive use of exotic ingredients, and their extremely broad definition of what is considered edible. This is how Guangzhou earned the distinct name of "Eating in Guangzhou (食在广州)." Unlike Sichuan food and many other cuisines across China, Cantonese food tend to preserve the original flavor of the ingredients and is generally not spicy. The taste of Umami is strongly emphasized in the dishes. Soup is also an important part of Cantonese cuisine. Cantonese soups are distinct by having been cooked for an extended period (typically 4h+). White Cut Chicken (白切鸡) This is one of the most popular Cantonese cuisine. It is lightly flavored to allow one to taste the true chicken meat. Many Cantonese restaurants have their signature dish based on this, such as the Wenchang Chicken from Guangzhou Restaurant, Real Taste Chicken from Bingsheng Restaurant and Qingping Chicken from various restaurants. Yum Cha / Dim Sum (饮茶/ 点心) "A pot of tea with two pieces (一盅两件)" is Guangzhou's dim sum culture. Many locals stay for hours chatting and reading newspaper with just a small order of food. The varieties of dim sum dishes in many restaurants are easily over a hundred. The bite-size quantity of each dish allows one to venture out and try new things that will satisfy one's taste bud. Dessert (甜品, 糖水) A Cantonese meal is not complete without Cantonese desserts. Soupy or custard desserts are common. Two distinct Guangzhou favorites are double layered milk (双皮奶) and ginger milk curd (姜撞奶). Other popular choices include tofu pudding (豆腐花), red bean paste (紅豆沙), green bean paste (綠豆沙), guilinggao (龟苓膏), black sesame paste (芝麻糊) and sago (西米露). Jusco (吉之岛)There are several locations including Tee Mall at Tiyu West Road and Linhe Middle Road near the East Train Station. This Japanese chain has a good selection of imported groceries. Tesco This British hypermarket is on Zhongshan 6th Road above the Metro Ximenkou Station. The store spreads over 4 floors and the price is reasonable. Wal-Mart (沃尔玛) The lower-end market has numerous locations in Guangzhou. Formerly known as Trust-Mart (好又多) but rebranded after acquired by Wal-Mart (沃尔玛). Wal-Mart has been upgrading the stores, and the prices while they are at it. This chain has a large stock of non-food items but the grocery selection is limited. It is often crowded on the weekends. Lotus (卜蜂莲花) There are several locations ranging from convenience stores to hypermarkets. One of the locations is at 399 Chebei Road (车陂路399号). 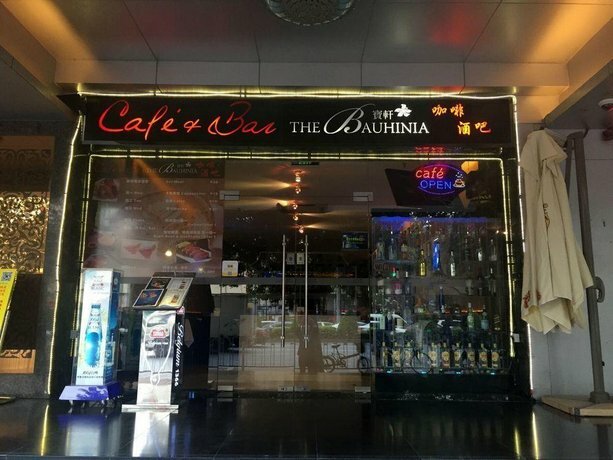 Pubs tend to be in Yuexiu and Tianhe district, while dance clubs are clustered in Yuexiu, particularly around the Garden Hotel (Metro 5 Taojin). Simple Love Tea Shop (十月红奶茶), #102, 94 Tianhe South Rd (Down from the south gate of TeeMall). 3PM-2AM. This is a Taiwanese style tea and coffee shop. There are about five other locations in the city. Tian Chang Di Jiu, 1 Zhengping Middle Street, Taojin Rd, ☎ +86 20 8358-1627. Chun Ya Yuan Teahouse (春雅源茶艺馆), 19 Siyou New Rd (4/F, Changcheng Hotel), ☎ +86 20 8761-2888 ext 6488. 7PM-1AM. Crystal Tea House, 6 Longkou East Road, Tianhe (1/F, Yuan Yang Hotel), ☎ +86 20 8759-6988 ext 67. 10AM-2AM. Wong Chun Loong Herbal Tea. The traditional herbal tea chain has over a dozen branches in the city, including 17 Wenchang South Road, 109 Huagui Road, 51 Dishifu Road, 504 Xihua Road, and many more. People's Cakes & Coffee. Enjoy cakes and coffee at this Western coffee shop run by Koreans. Yuexiu, #102, 17 Jianshe 6th Road (建设六马路17号102房), ☎ +86 20 8376-6677. Taojin, 98 Taojin South Rd, ☎ +86 20 8348-8085. Starbucks. The Seattle chain has been in China for over 10 years, with more than 25 locations in Guangzhou alone. The benefit to many travelers is the free Wi-Fi. Popular locations include Taojin Road by the Guangzhou Friendship Store, Huanshi East Road in the Peace World Plaza, across the street from the Garden Hotel, and Shamian Island. Check their website for complete listing. Check out some local fusion items including a wide selection of Chinese tea, Green Tea Tiramisu and Shredded Ginger Pork Panini. 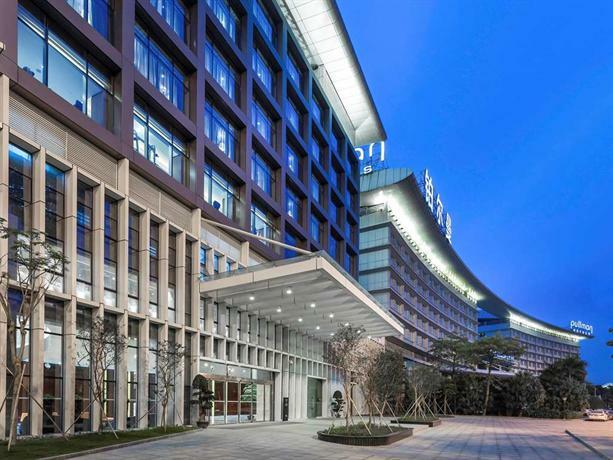 Hotels can be found across the city, but particularly in the Yuexie and Tianhe districts. 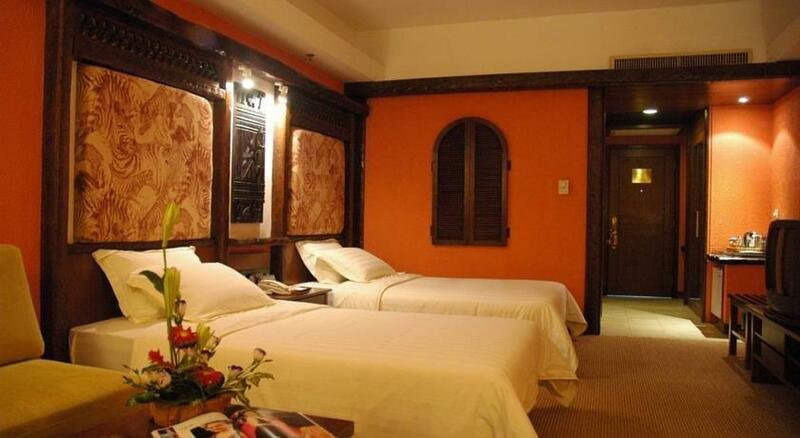 Youth hostels are uncommon in Guangzhou, unlike many other big cities in China. Most hostels in the city are illegally operated and unlicensed, mostly located in residential apartment buildings. The management usually discourages most socializing activity, worrying that any noise may lead to complaints from their neighbors and result in government crackdown. Guangzhou, which was the first open port in China, is generally tolerant of different cultures. Crimes that target foreigners are not common despite the city's reputation for petty crimes. Pickpockets are active in shopping area and transportation hubs. Safety has improved a lot since the 2010 Asian Games but the best defense, as always, is to avoid flashing your valuables in public, wandering around alone late at night. Use only official taxis and change money at banks instead of grocery stores. As the richest province of China, it has attracted an enormous number of immigrant workers from other mainland provinces and some developing countries. Drug trafficking is a serious offense and foreigners are not exempted from the death penalty. The police is known for expanding its Arabic- and English-speaking forces to deal with the rising drug trade among foreigners. Tourism Administration of Guangzhou Municipality (广州市旅游局) 13-15/F, 140 Dongfeng West Road. (东风西路140号13-15楼). +86 20 8107-8200. Australia, 12F Development Center, 3 Linjiang Avenue (珠江新城临江大道3号发展中心12楼), ☎ +86 20 3814-0111. Belgium, Rm. 1601-1602A CITIC Plaza, 233 Tianhe North Road (天河北路233号中信广场1601-1602A室), ☎ +86 20 3877-2351. Cambodia, Rm. 804-807 Garden Hotel, 368 Huanshi East Road (环市东路368号花园大厦804-807室), ☎ +86 20 8384-9937. Canada, Ste. 801 China Hotel Office Tower Liuhua Road (流花路中国大酒店商业大厦801), ☎ +86 20 8611-6100. Cuba, Room 2411 West Tower, Hua Pu Office Complex, 9 Hua Ming Road, Zhujiang New Town (珠江新城华明路9号华普广场西塔2411房 ), ☎ +86 20 2238-2603. Denmark, Ste. 1578 China Hotel Office Tower Liuhua Road (流花路中国大酒店商业大厦1578室), ☎ +86 20 8666-0795. France, Rm. 803 Guangdong International Hotel Main Tower, 339 Huanshi East Road (广东国际大酒店主楼801-803室), ☎ +86 20 2829-2000. Germany, 14th floor, Teem Tower, Tianhe Lu 208 (天河区天河路208号粤海天河城大厦14), ☎ +86 20 8313 0000, e-mail: info@kanton.diplo.de. M–Th 13:30–15:00, F 08:30–11:30. Greece, Room 2105 Skyfame Tower, 8 Linhe Middle Rd, ☎ +86 20 8550-1124. India, Units 1401-1404 14F Skyfame Tower, 8 Linhe Middle Road (林和中路8号 天誉三期14楼1401-1404单元), ☎ +86 20 8550-1501. Indonesia, Rm. 1201-1223 West Building Dongfang Hotel, 120 Liuhua Road (流花路120号东方宾馆西座2楼1201-1223室), ☎ +86 20 8601-8772, e-mail: indonesiaguangzhou@kemlu.go.id. Israel, 19th floor, Development Center, 3 Linjiang DaDao,Zhujiang New Town (珠江新城临江大道3号发展中心19楼), ☎ +86 20 85130509. Italy, Rm. 5207-5208 CITIC Plaza, 233 Tianhe North Road (天河北路233号中信广场5207-5208室), ☎ +86 20 3877-0556. Japan, Garden Tower 368 Huanshi East Road (环市东路368号花园酒店1楼), ☎ +86 20 8334-3090. Korea, 18 Youlin 3 Road, Haizhu District (海珠区赤岗领事馆区友邻三路18号), ☎ +86 20 2919-2999, +86 20 2919-2980. Malaysia, Rm. 1912-1918 CITIC Plaza, 233 Tianhe North Road (天河北路233号中信广场 1915-18室), ☎ +86 20 3877-0757. Mexico, Rm. 1402-03 183 Tianhe North Road (天河北路183号大都会广场1401室), ☎ +86 20 2222-0980. Netherlands, Teem Tower, 34th Floor, 208 Tianhe Road, Guangzhou, 510620 广州市天河路208号粤海天河城大厦), ☎ +86 20 3813-2200. Norway, Rm. 1802 CITIC Plaza, 233 Tianhe North Road ( 天河北路233号中信广场18楼1802室), ☎ +86 20 3811-3188. New Zealand, Rm. 1160 China Hotel Office Tower Liuhua Road (流花路中国大酒店商业大厦1160室), ☎ +86 20 8667-0253. Pakistan, Rm. No. 705-06 Grand Tower No. 228 Tianhe Rd, ☎ +86 20 8550-5679. Philippines, Rm. 709-711 Guangdong International Hotel 339 Huanshi East Road (环市东路339号广东国际大酒店710室), ☎ +86 20 8331-1461. Poland, 63 Shamian Street (沙面大街63号), ☎ +86 20 8121-9993. Singapore, Rm. 2418 CITIC Plaza, 233 Tianhe North Road (天河北路233号中信广场2418室), ☎ +86 20 3891-2345. Switzerland, 27F Grand Tower 228 Tianhe Road (天河区天河路228号广晟大厦27层), ☎ +86 20 3833-0450. Thailand, M07 Garden Hotel, 368 Huanshi East Road (环市东路368号花园酒店2楼M07室), ☎ +86 20 8384-9937. United Kingdom, 2F Guangdong International Hotel 339 Huanshi East Road (环市东路339号广东国际大酒店二楼), ☎ +86 20 8314-3000. U.S.A., 43 Huajiu Road, Zhujiang New Town, Tianhe District (天河区珠江新城华就路43号) (public entrance on Huaxia Road (华夏路), near Exit B1 of Zhujiang New Town metro station on Line 3 and Line 5), e-mail: GuangzhouACS@state.gov. This is the only U.S. Consulate in China that processes adoption and immigration visas. 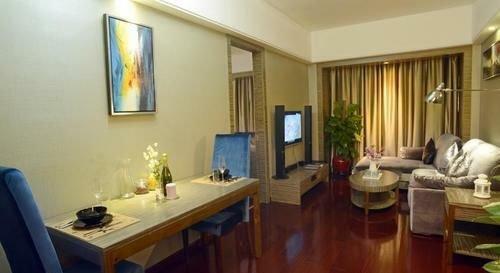 Vietnam, 2F Building B North, Landmark Canton Hotel, 8 Qiaoguang Road (侨光路8号华厦大酒店B座2楼), ☎ +86 20 8330-5911. Bank of America Rm 2506, 555 Renmin Middle Road +86 20 8130-0888. The bank has alliance with China Construction Bank. Citi Unit 101, Fortune Plaza, 118 Tiyu East Road. +86-20 3898-1688. This bank has a full service branch with currency exchange services and 24-hour ATMs. In other parts of the city, there are laundry and dry clean shops sprinkled throughout neighborhoods. An average load should cost no more than ¥40. If you are doing sheets and blankets, they should charge no more than ¥10 for a blanket, ¥30 for a quilt. Dry-cleaning a sweater is about ¥8. Hong Kong’s international channels, TVB Pearl and ATV World, available in most hotels, have a great selection of programs from the UK and US, plus news at 7:30PM and late (11PM or later) every day. Guangzhou has over 15 branches of Total Fitness. 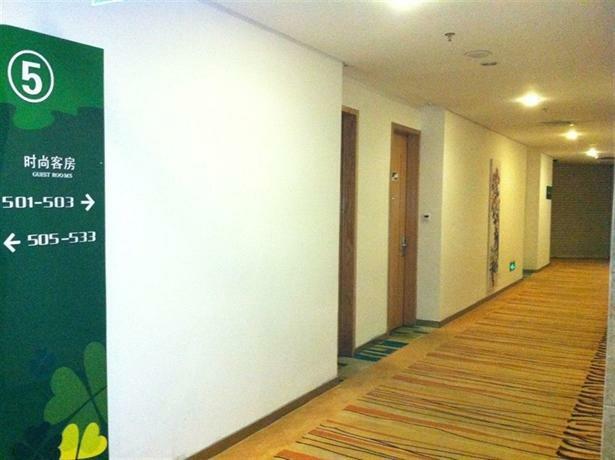 One of the locations is at the 8th floor of Grandview Mall (Zhengjia Plaza 正佳广场). The Guangzhou Marriott (see sleep) has a complete new gym with Star Trac equipment, a swimming pool, tennis court, sauna and steam. DHL There is a branch in Garden Hotel +86 20 8384-9210. The watchtower dwellings of overseas Chinese from the early 20th century in Kaiping (开平). Take a 2-hour bus form Fengcun Bus Station (芳村汽车站) (Metro 1 Kengkou Exit B) ¥60. Hong Kong (香港) is barely an hour away by fast train, though you need to factor in border delays. You exit China, so your visa needs to be multi-entry if you intend to come back. Humen (虎门) in Dongguan (东莞) is famous for its Opium War era relics (虎门销烟). It is a bridge away from the Nansha District. Most trains to Shenzhen or Hong Kong stop at Humen. Shenzhen (深圳) is less than an hour away by bus or train, on the border with Hong Kong. Check out theme parks such as Windows of the World, the China Folk Culture Villages and Splendid China. 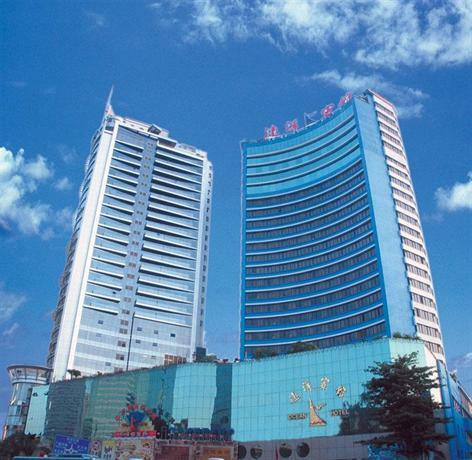 Zhuhai (珠海) is another special economic zone to the south, bordering Macau. You can get a bus from any of the major stations in the city. You can also take a high speed train at the South Station (Metro 2 Guangzhou South Railway Station) and it only takes about 45 minutes (¥44). Chaozhou famous for its wood cutting art, city walls, river bridge and nice parks. Take a high speed train at the South or East Station and it only takes about 3 hours to Chaoshan, the high speed train station between Chaozhou and Shantou. Frequently running city buses connect to downtown (take north exit).